Orlando Arcia ended up on third base after collecting his first career hit when Jean Segura threw the ball into the Brewers dugout as Arcia stood at first base. Umpires O'Nora, Segal, Tumpane & Kellogg. The Play: With two out and one (R3) on during Milwaukee's weekend series in Arizona, Arcia hit a line drive into right field, scoring the runner from third. When the ball was subsequently thrown back into the infield with Arcia content and standing at first base with his first career RBI single, Diamondbacks second baseman Jean Segura threw the milestone baseball toward the Brewers dugout, as is MLB tradition, where Scooter Gennett was waiting on the top step, with a foot on the warning track, to retrieve it, while 1B Umpire John Tumpane was waiting to rule on the legality of the play. Replays indicate that HP Umpire Jeff Kellogg appeared to call "time" before F4 Segura released his throw. Question: Given the aforementioned play, consider the following variations relative to when the plate umpire called "Time" and state where batter-runner Arcia should be placed for each scenario. (A) Umpire calls "Time" before Segura throws the ball (as occurred during the aforementioned play). (B) Umpire calls "Time" after Segura throws the ball, but before it arrives at the dugout (is in the air). (C) Umpire calls "Time" after Segura's throw is caught by Gennett, who is still outside the dugout. (D) Umpire calls "Time" after Segura's throw is caught by Gennett, who is back inside the dugout. (A) B1 Arcia remains at first base, as "Time" had been called prior to Segura's throw. (B) B1 Arcia is awarded third base (two bases from the time of the throw). (C) B1 Arcia is awarded third base. (D) B1 Arcia is awarded third base. Final note: Gennett's actions of catching the throw on the lip of the dugout (live ball territory) simply means that the play becomes dead the moment he intentionally grabbed the ball (only applicable to scenarios (C) and (D)). The "nullify the act" portion of the interference rule means that the umpires shall apply their judgment to determine whether, if not for the interference, Segura's throw would have exited the playing field and, thus, entitled Arcia to third base. Postscript Note: Naturally, common sense would dictate that the throw wasn't "wild" but merely a post-play courtesy for a rookie Major Leaguer who just collected his first career big league hit. OBR 5.06(b)(4)(G): "Each runner including the batter-runner may, without liability to be put out, advance—Two bases when, with no spectators on the playing field, a thrown ball goes into the stands, or into a bench (whether or not the ball rebounds into the field), or over or under or through a field fence, or on a slanting part of the screen above the backstop, or remains in the meshes of a wire screen protecting spectators. The ball is dead. When such wild throw is the first play by an infielder, the umpire, in awarding such bases, shall be governed by the position of the runners at the time the ball was pitched; in all other cases the umpire shall be governed by the position of the runners at the time the wild throw was made." OBR 5.12(a): "When an umpire suspends play, he shall call “Time.” At the umpire-in-chief’s call of “Play,” the suspension is lifted and play resumes. Between the call of “Time” and the call of “Play” the ball is dead." OBR 5.12(b): "The ball becomes dead when an umpire calls 'Time.'" 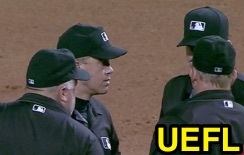 OBR 6.01(d): "In case of unintentional interference with play by any person herein authorized to be on the playing field (except members of the team at bat who are participating in the game, or a base coach, any of whom interfere with a fielder attempting to field a batted or thrown ball; or an umpire) the ball is alive and in play. If the interference is intentional, the ball shall be dead at the moment of the interference and the umpire shall impose such penalties as in his opinion will nullify the act of interference." OBR 6.01(h) Comment: "The ball is immediately dead when this signal ["Time" due to obstruction] is given; however, should a thrown ball be in flight before the obstruction is called by the umpire, the runners are to be awarded such bases on wild throws as they would have been awarded had not obstruction occurred." Universal Ground Rules: "Ball on the top step (lip) of the dugout is in play."